Project Hope Alliance — Modera Inc.
Fighting for a cause near and dear to our hearts, Project Hope Alliance has been working to end the cycle of homelessness, one child at a time. 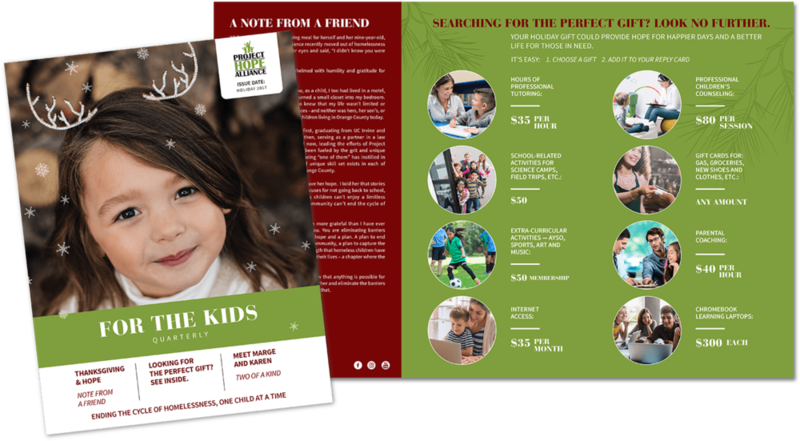 So when Modera was first asked to develop an Annual Report with the goal of highlighting their achievements and educating potential donors of their mission, we were honored and inspired to put forth some great work. As time progressed, we were asked to design their website, create an ongoing newsletter campaign, as well as provide creative support to the internal marketing and development teams.